Jonathan Newell talks to DJB Instruments about its vibration sensing and signal conditioning product release plans. Industrial expectations for measuring force and acceleration in structures continue to stretch beyond the boundaries of what can be achieved with the standard range of products being offered by sensor suppliers. Engineers want smaller accelerometers with more functional capability, feeding signals to data acquisition systems over longer distances. They also want them to operate wirelessly so they don’t have to overcome cabling difficulties. Such a demanding market requires suppliers that are willing to invest in development and meet the challenges their customers are placing on them. One such supplier, DJB Instruments, already began its announcements of the company’s 2017 range of equipment at the start of the year but the innovation didn’t stop there and more can be expected as the year goes on. I spoke to the company’s Managing Director, Neill Ovenden about the changes he’s seeing in the market. Ovenden explained that the releases made so far are just a precursor to other related products that are due out. “We’ve had a busy 18 months of development activity that are now bearing fruit,” he said. These products include an in-line signal conditioner that uses a standard IEPE supply current and can maintain signal integrity over several hundred metres. There is also an impedance head for measuring force and acceleration with one device, an important product for the modal / structural vibration analysis markets. On top of this, DJB Instruments is planning the release of a range of wireless devices towards the end of the year. With more electronics being packed into accelerometers, they are becoming more sensitive to environmental factors like temperature. Removing some of that complexity by using in-line signal conditioners for getting the signal from the accelerometer to the DAQ software for analysis gives engineers more flexibility through the use of less complex sensors. Additionally, with built-in IEPE power, the conditioners don’t need additional power sources. The QV in-line range provides charge/voltage conversion when supplied with a standard IEPE supply current in the range of 4 to 20mA and requires minimal configuration to interface with vibration analysers and data acquisition systems. With the company’s main market being the test and measurement arena as well as research and development, it has seen a marked increase in the need for miniaturised products. Its latest releases are the AF/50/5 and AF/100/10 IEPE impedance heads which integrate an IEPE accelerometer and force sensor into one device to measure dynamic acceleration and force simultaneously. 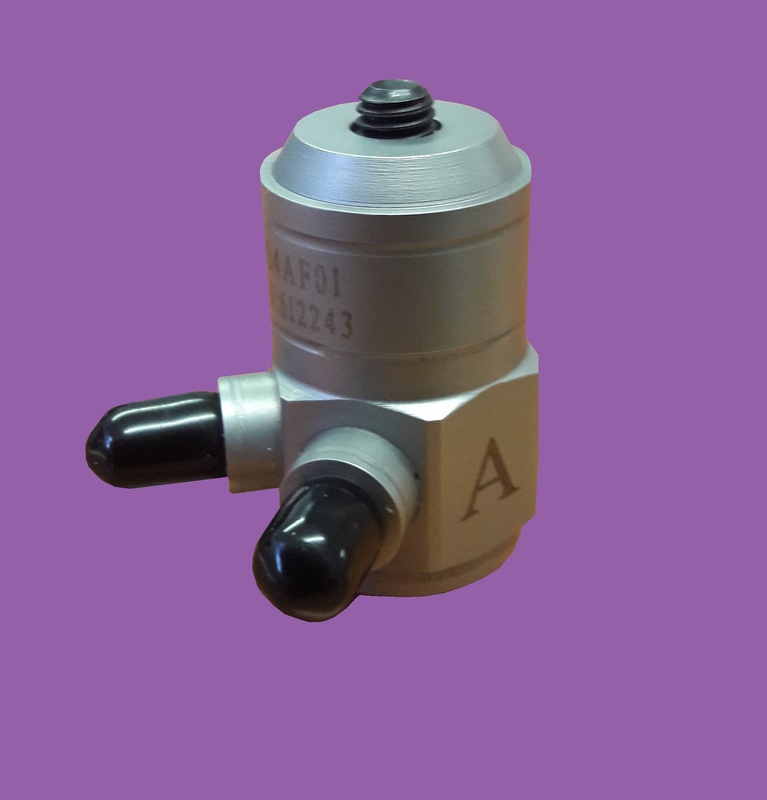 Such miniature force/acceleration impedance heads are ideal for use in combination with “stinger” style vibration input devices for use with modal (or structural) vibration testing in the automotive and aerospace industry. In these cases, the use of a stinger enables precise application of vibration at exactly the right position that can be expected in real world situations. In these cases, it’s very important to be able to measure the input forces from the stinger as well as the response at other places in the structure where the accelerometers are placed. This allows engineers to very effectively map the structure’s response to vibration input. Going wireless has its own challenges and the products that are expected later this year are designed to meet overcome these problems, especially concerning rotating parts with their associated problems of cable management. “Our wireless products will be useful in any application where cabling is an issue. We’re seeing emerging interest in miniaturised wireless devices in the sports science and biology markets,” concluded Ovenden.